The new direct flight between Guiyang, capital of Southwest China's Guizhou province, and Paris opened on March 24. The opening ceremony for the direct flight between Guiyang and Paris is held at the Guiyang Longdongbao International Airport. It is Guiyang's fifth intercontinental route and reduces flight time between Guiyang and Paris to 11 hours. The flight is offered by Hainan Airlines every Sunday. It departs from the Guiyang Longdongbao International Airport at 1:30 am and arrives at the Paris Charles de Gaulle Airport at 6:20 am local time. The returning flight departs from the Paris Charles de Gaulle Airport at 2:30 pm and arrives at the Guiyang Longdongbao International Airport the next day at 8:30 am local time. 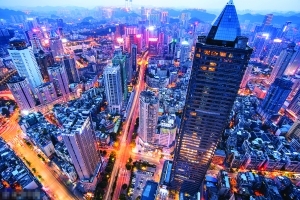 With four other intercontinental routes to San Francisco, Los Angeles, Moscow, and Milan, which opened last year, Guiyang is now connected with Europe's three major aviation hubs. 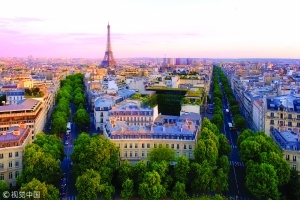 The flight is expected to satisfy the needs of Guizhou people looking to do business and travel in Paris, which is one of the world's most important financial centers and travel destinations for Chinese tourists. During the opening ceremony, Agathe Schibler, an economic counselor at the French Consulate in Chengdu, says that France sees great potential in its cooperation with Guizhou. Last year, the Guiyang Longdongbao International Airport's passenger throughout reached 20 million. It was serviced by 49 airlines and offered 240 flights to 118 destinations. Guiyang plans to add more international direct flights to Melbourne, Sydney, London, and Istanbul within the next two or three years to create more opportunities for international cooperation in economics, culture, and tourism.